Fukushima - The force of Mother Nature against man made. 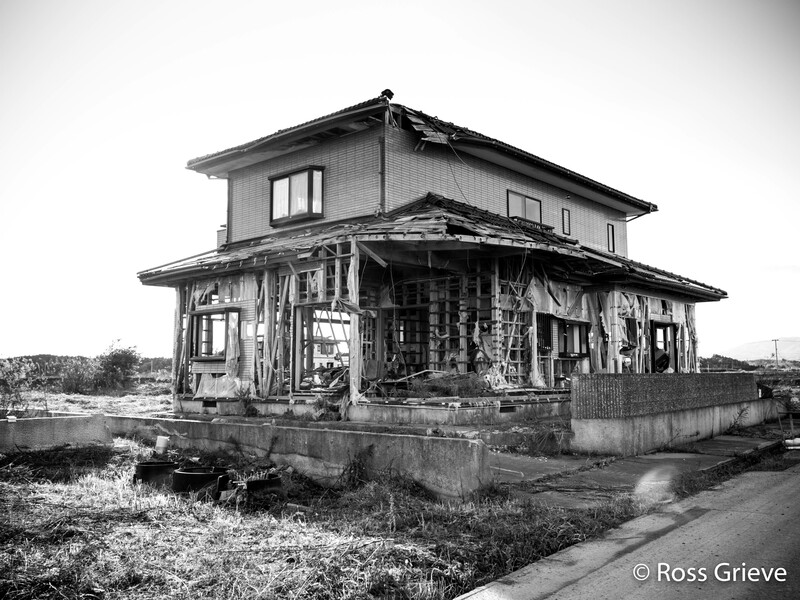 A little visit to the area near Fukushima Nuclear Power Station, makes you realise how devastating this disaster was. It was very apparent that many people/families just dropped everything and left, never to return. Don’t worry we made sure we were in a safe area. 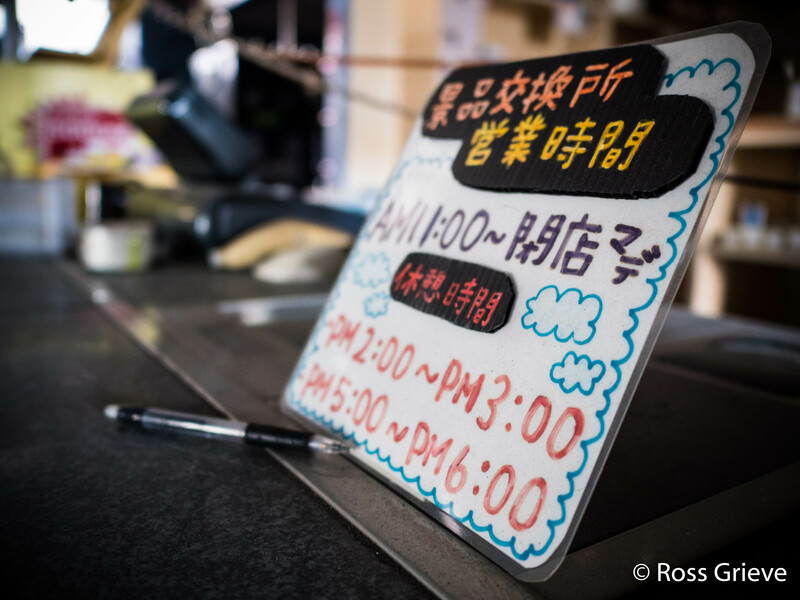 We travelled up north from Tokyo to see first hand what Mother Nature can do when she unleashes an Earthquake and a Tsunami. As our journey rumbled on, we passed through several towns from where you could see the damage escalating. It wasn’t long till we came across some houses near the coast, which seems to be waiting in line for their turn at being demolished. From here we headed back down South and passed several abandoned car sales. But this one stood out. 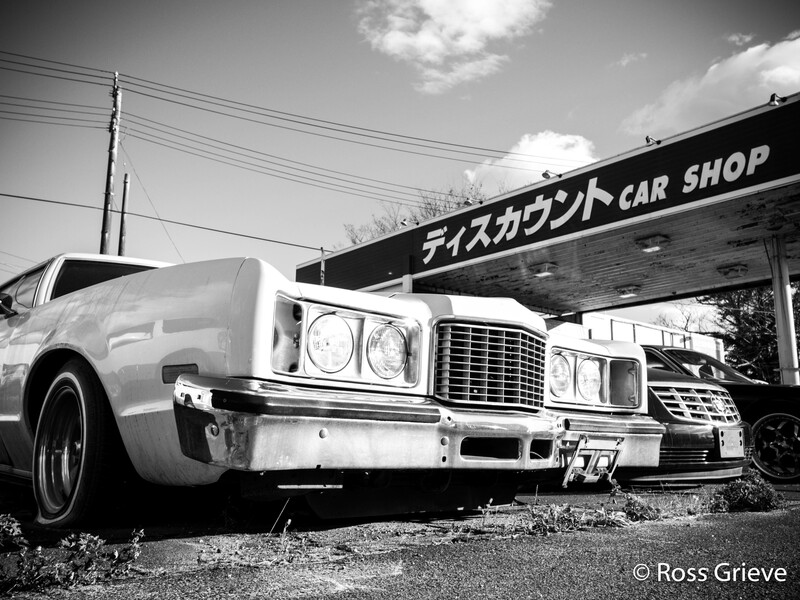 It was located on the main road and with the big American cars, this second hand car yard it made fantastic photography. Weeds growing through the cars that were left there in peoples haste to leave, it almost like a car graveyard, just left there to rust. The three of us were all struck with the efforts from the government to get everything back to normal. There is a lot of new homes being built. A constant stream of works to the surrounding sites to assist in the clean up. Which will go on for generations. As we approached one town we saw an amazing building which would have been so busy in it’s day. 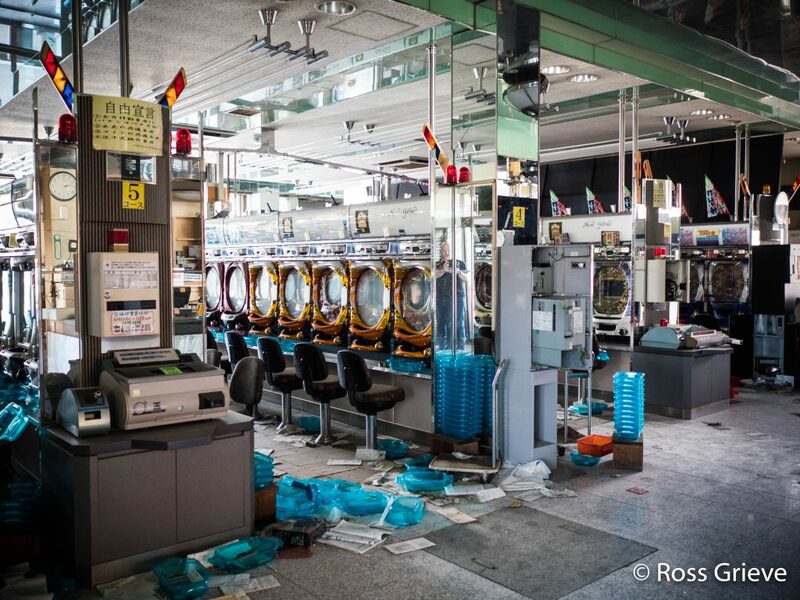 It was a Pachinko Hall, which is full of machines, where people can try their luck, and is very popular in Japan. We took our time and had a good look around the outside. 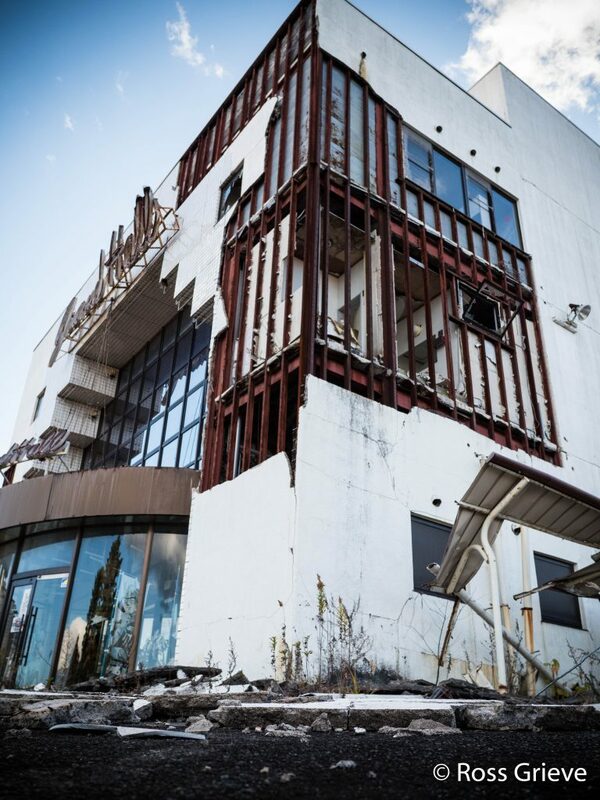 The building was just in decay. After spending some time outside. It was decided the open door was too good of an opportunity to miss. 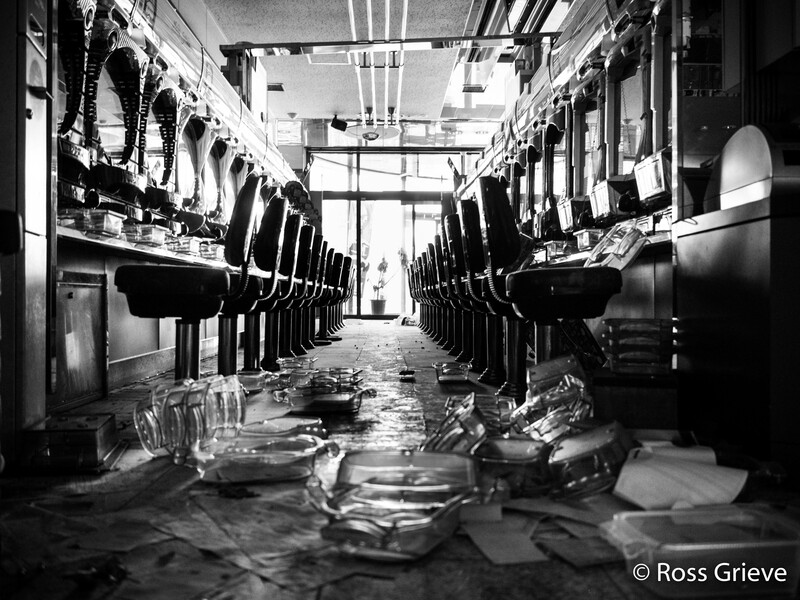 We walked in to an emotional scene with everything scattered on the floors and counters. 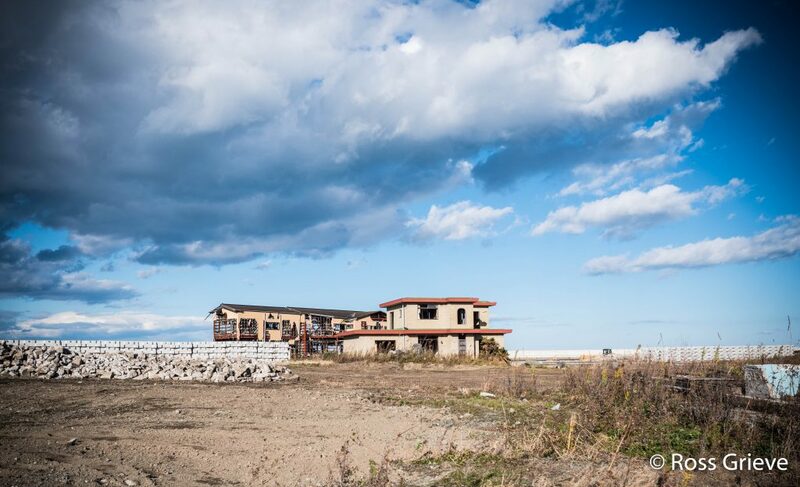 We could only imagine people dropping everything to get away from the incoming Tsunami. .Aware of safety, we always made sure that we were safe at all times. 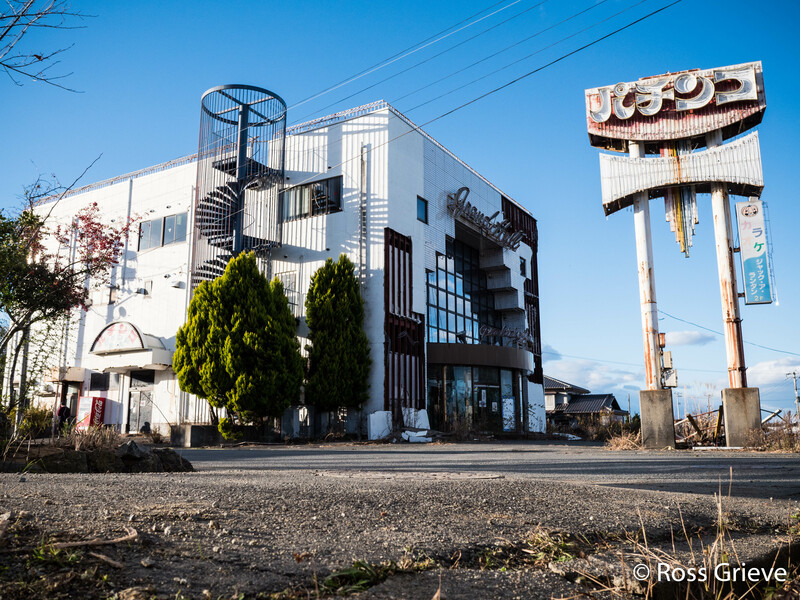 The trip to Fukushima was well worth the visit but it will not be for everyone. All images were taken on a Lumix GX8 with a Leica 15mm lens. 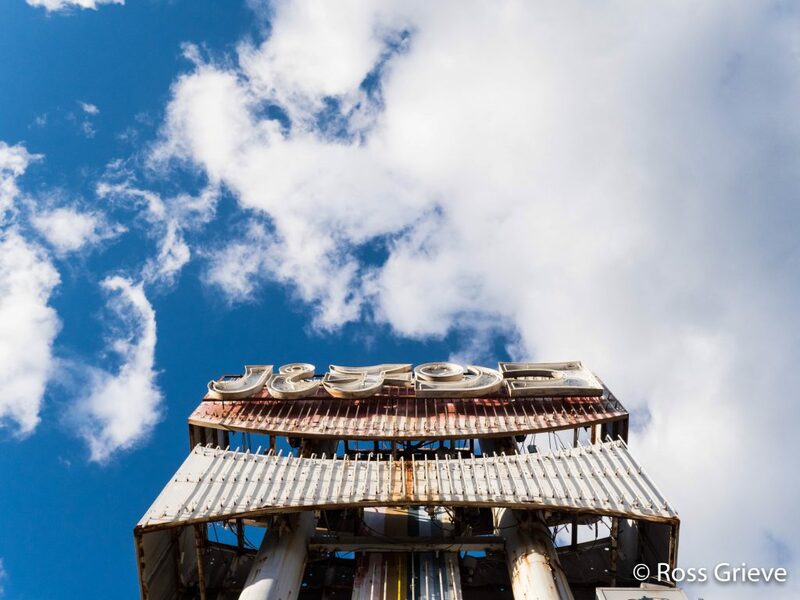 Ross, This is great work and I myself use the Lumix gx8 with the Leica 25mm lens and have been very pleased. Your work ups the anti and I think I might consider the 15mm lens. Again, thank you for such inspiring photographs. Thank you David. The Lumix GX8 and the 15mm lens is my go to kit for Street Photography. I very rarely use anything else. Its just nice and small and discrete. Plus it looks great.